Thunder (aka Anissa Pierce) is the superpowered daughters of DC superhero Black Lightning. After striking a bargain with her father that she would wait until she graduated college to get into the family business, Anissa donned a costume, took the name Thunder, and started her journey into superheroics on the very day of her college graduation. With the power to control her own density, Thunder can make herself invulnerable, and she can create powerful shock waves by stomping on the ground. 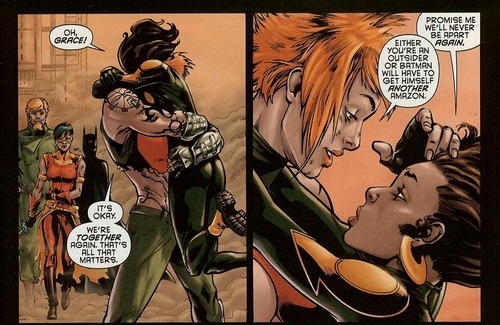 Soon she was recruited by Nightwing’s superhero team The Outsiders, where she met Grace Choi. 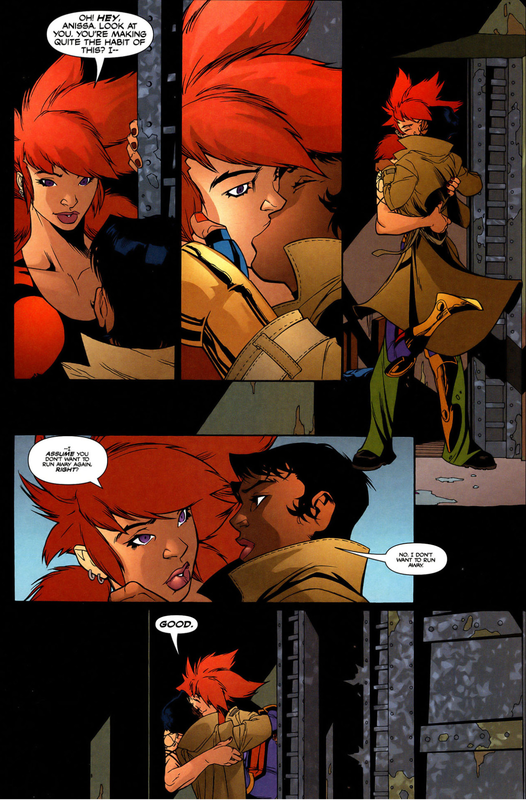 Grace Choi grew up incredibly differently than Thunder. Of Amazonian decent, Choi was abandoned as a child and grew up alone in the world. As a young girl she was exploited and abused in a child prostitution ring until she escaped and found work in the metahuman community. Her Amazonian blood endowing her with superstrength and invulnerability, she often worked as a bouncer. She was working as a bouncer at a metahuman nightclub when she was recruited to The Outsiders, a gig she decided to take because it paid better. Years later she encountered the man who had held her prisoner. She freed the children he had taken prisoner for his new prostitution ring and beat him to within an inch of his life deciding at the last minute not to kill him. At first Grace and Thunder bucked heads on the team, constantly fighting. However, they eventually put their differences aside and find that they share a different sentiment for each other altogether. They soon began dating, and eventually moved in together. When Batman kicked Thunder off The Outsiders team, Grace threatened to leave the team and continued to invite Thunder along on the team’s missions without Batman‘s permission, continually trying to convince him that she belonged on the team. When Thunder’s father was in trouble and the Justice Society of America was trying to arrest him, Grace helped him to fight them, calling him her “in-law”. The couple is still going strong today. 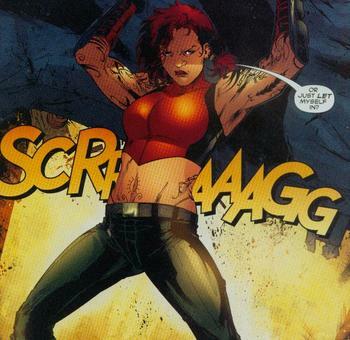 Though Grace Choi is not currently appearing in any series, she is occasionally referenced in the new animated series DC Nation, in which Thunder appears along with her father Black Lightning and her sister Lightning (aka Jennifer Pierce).